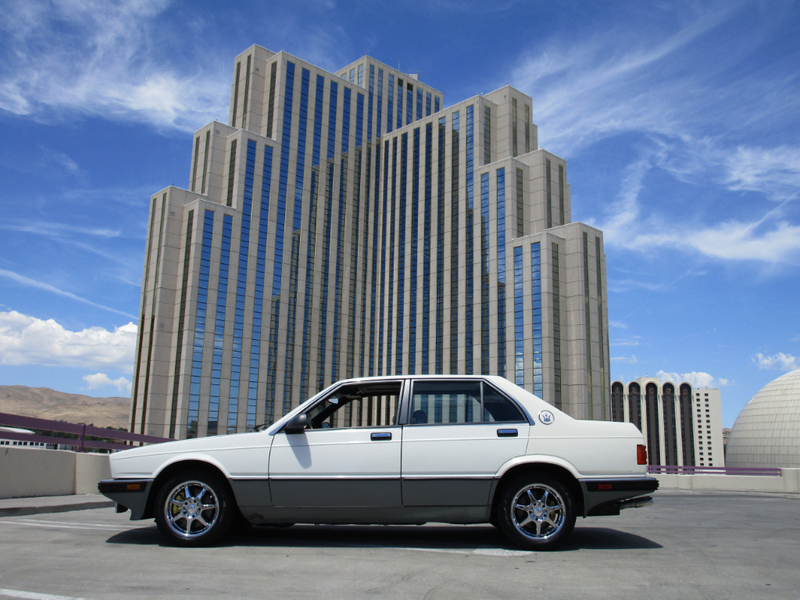 You are viewing a very rare 1987 Maserati Biturbo 430 Sedan. This car is very rare with less than 1000 430's being built. The car runs and drives well. The cosmetics are decent but not prefect. This car has just 16,555 original miles and a clear title. The car was does show it was involved in a minor accident in 1991. This is a very rare car that is bound to appreciate in value. Please feel free to call us with any questions. David 775-843-2549, Sharon 775-848-9630. Message: Thought you might be interested in this 1989 Maserati 430.